Uganda is a country that has been on my heart for a long time, for the high number of HIV/AIDS patients and subsequent orphans. I've learned that Uganda also has a heartbreaking maternal mortality rate: Every week, 100 birthing mothers die there. That's 1 in 22 women in rural areas, and 18% of new HIV infections occur from mother to child. Far too many Ugandan babies are born dead or die in the first week after birth. Just imagine the fear and distress of giving birth in a land where you'd know firsthand the outcomes that might await you. And the answer for decreasing maternal and infant mortality is so simple: well-trained midwives. The Shanti Uganda Society, based in Vancouver, B.C., runs a solar-powered Birth House in Uganda that provides mother-centered pregnancy, birth, and postnatal care. 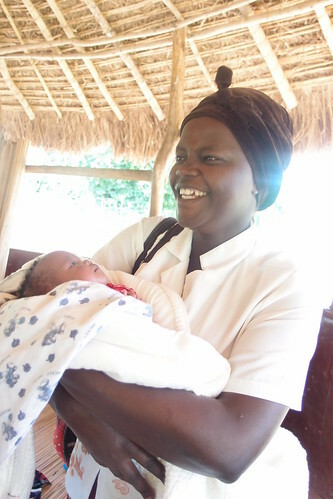 Through the monthly donations of the Birth Partner program, the maternity center is able to ensure that women have access to a dedicated team of Ugandan midwives, a traditional birth attendant, and a lab technician, which improves birth outcomes and reduces maternal and infant mortality rates. Births take place in a private, home-like setting with access to an emergency vehicle should complications arise. Certified in Prevention of Mother to Child Transmission of HIV, the birth center is able to safely care for HIV-positive mothers. Both prenatal education and postnatal care are offered, and the birth center runs monthly continuing education workshops for midwives and traditional birth attendants. Shanti Uganda’s founder & executive director, Natalie Angell-Besseling, has seen the difference that the Birth House makes in the lives of mothers and children. Let's all imagine a world where birthing mothers and women living with HIV/AIDS are supported, empowered, and able to develop to their full potential. The Shanti Uganda Society is doing what it can to make that dream a reality through maternal healthcare, prenatal education classes, a community garden program providing fresh produce to clients, a teen girls program, and a women's income generating group — a collective of HIV-positive women who produce bags and jewelry for sale throughout North America. Besides earning pay above fair-trade prices, the women in the collective receive monthly workshops on financial skills, a bicycle to travel to work, membership in the garden club, and access to all health services at the birth center. 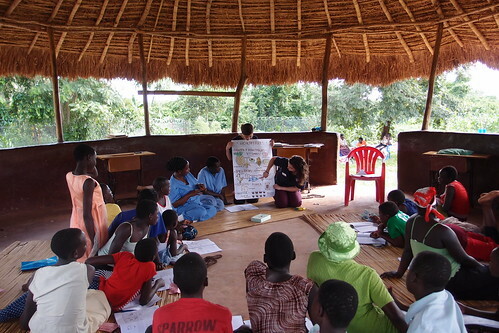 The Shanti Uganda Society began with a vision to unite traditional birthing with modern best practices and provide conscious birth training for communities impacted by trauma. Along with constructing the Birth House and Learning Centre, Shanti Uganda has provided Safe Birth Kits, run multiple birth education workshops for midwives, and established a reusable menstrual pad distribution program — teen girls who attend the health and wellness workshops receive a reusable menstrual pad kit and learn how to make their own. With financial support, the Shanti Uganda Birth House will become a model birth and education facility and will improve maternal and infant health throughout Uganda. "There is a secret in our culture. It's not that birth is painful, it's that women are strong." Please visit The Shanti Uganda Society and mindfully consider becoming a Birth Partner. Just $25 per month (Canadian) supports the birth of one baby every two months. Birth Partners receive a special welcome package and gift, quarterly email updates of the births you make possible, annual tax receipt for your donations, and flexibility to join at the giving level that is right for you, from $25 to $300 a month. You can also make individual donations to support the work of the birth center: $10 supports 4 prenatal classes for one mother. $15 pays for one birth kit. $50 supports the birth of one child. $100 supports one midwife for a week. As a special "thank you," if you sign up to be a Shanti Uganda Birth Partner by September 30, you will receive a beautiful handmade necklace from the Shanti Uganda Women's Income Generating Group. When you wear your necklace, you can be reminded of all the women in Uganda benefiting from your generous gift. I'm so glad Amber of Strocel.com clued me in to this empowering organization and invited me to blog alongside other parents this month. 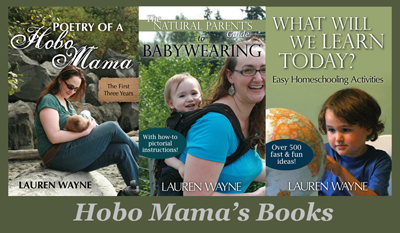 We're all in this motherhood thing together, worldwide. Please help make better birth and infant outcomes a reality for the mamas in Uganda — mamas just like you, going through the same wonder of pregnancy, the passage of birth, and the enchantment of the newborn period. Become a Birth Partner and ensure that that's all these women will have to think about as they bring forth and care for their precious babies. I love that this organization supports women throughout their reproductive journey: from helping with reusable menstrual products and education for teens, to prenatal care and postpartum support for adult women. Thanks for this post!